Raveld has been aquired by Apptio! Checkout CloudExpress for your cloud cost tracking needs! Redirecting in 10. Raveld is a simple yet powerful way to unravel your cloud expenses so you know exactly where your money is going and how it's being used. With all this fancy and accurate data, you can act on it with a set of great management features such as budgeting, alerts, chargebacks and more. Now you have the information you need to lower costs and optimize where it matters most. 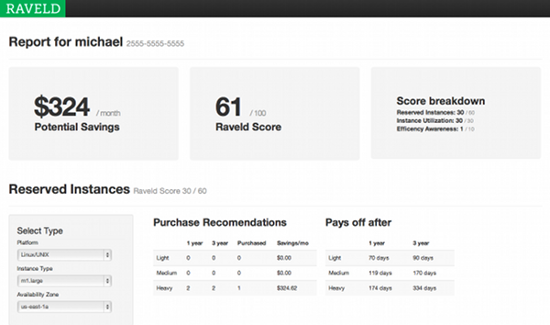 Whats in a Raveld Score? We started clearing up inclement cloud messes in 2011 and have been growing rapidly ever since.